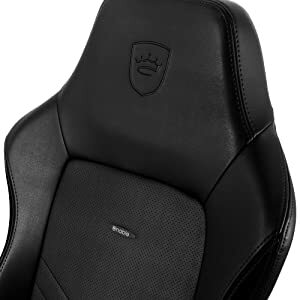 Designed in collaboration with esports professionals, the HERO Series is the most feature complete ergonomic office chair from noblechairs yet. 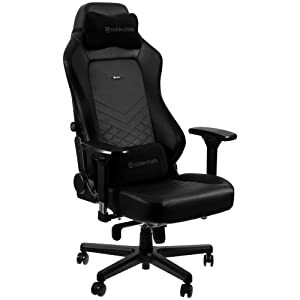 A perfect choice for those that spend prolonged hours in front of the computer, this high-quality gaming chair utilizes an all new integrated adjustable lumbar support, letting it be fully customized to your individual needs. Intended to support bigger users, the HERO possesses a taller backrest, wider seat base and larger armrests. The inner workings of the HERO have been constantly iterated upon, making use of top class materials to provide reliability and comfort. 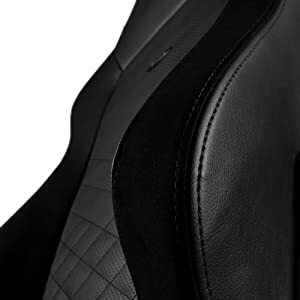 Thicker 55% density cold foam core are accompanied by a sturdy steel inner frame, creating a reliable interior on which the upholstery of 0.067 inches thick top-grain real leather or 0.059 inches PU vegan faux leather sit upon. Designed to be a lifestyle choice rather than a simple chair, this model features subtle branding, intricate diamond pattern stitching and a smooth look that’s perfectly at home in any situation. 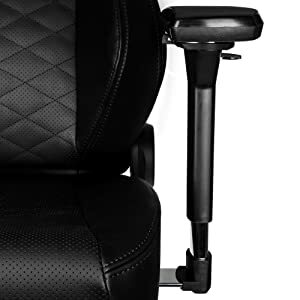 In response to customer feedback, this model features brand new integrated lumbar support. 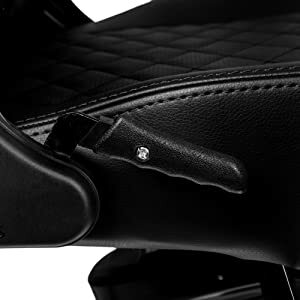 This feature, only usually found in high-end cars, allows you to quickly adjust the lumbar support in the chair via the use of a knob, resulting in hassle-free personalization. 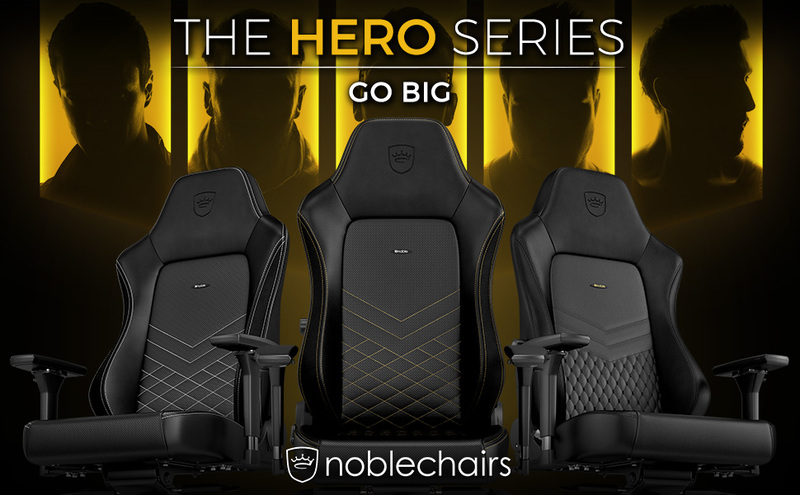 The HERO is the largest in the noblechairs line yet, possessing expanded armrests, a wider seat base and taller backrest. 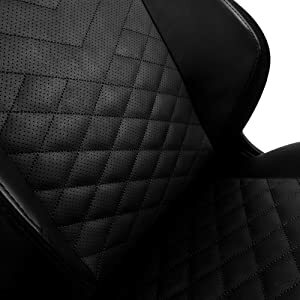 Merging these qualities with padding and memory foam on the headrest creates a sublime user experience. 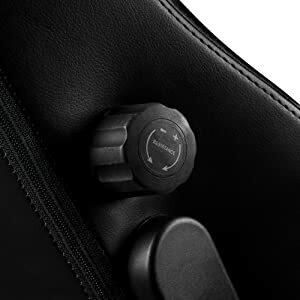 Built in collaboration with esports pro players for the utmost support during extended play sessions, the chair’s backrest naturally conforms to the shape of the spine, easing pressure on the body. Memory foam can be found in the headrest to further ensure relaxation. 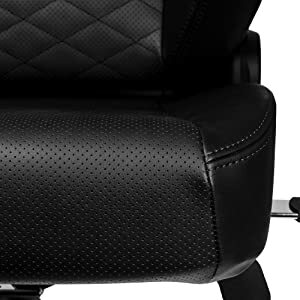 Additionally, adjustability options including our new lumbar support, the chair’s tilt mechanism and 4D armrests allow for complete customization. Total Height (with base): 50.79" - 53.94"
Seat Pan Height (with base): 18.90" - 22.05"
Backrest Width (shoulder level): 22.44"
Seating Area Width (total): 20.47"